Dimensions 0.50 by 8.75 by 8.75 in. 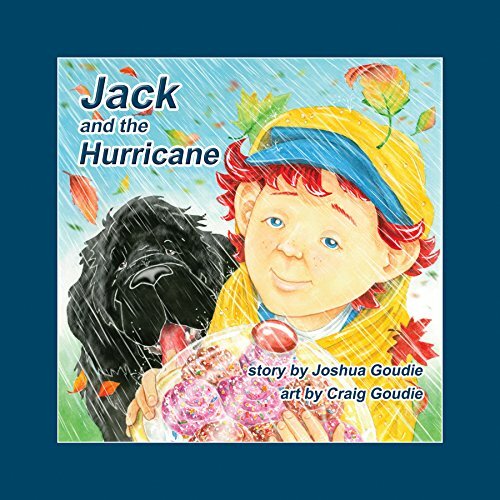 Amazon.com description: Product Description: Jack and the Hurricane follows young, willful Jack on his adventure to save his cousin's birthday party, no matter what Mother Nature has in store. Despite the appeals of neighbors, firefighters and even the army, Jack sets out into a world that is falling down around him. ÃÂ ÃÂ ÃÂ An engaging read for children of all ages, Jack and the Hurricane is a story of family, friends and determination, all wrapped up in wind, rain, flooding and power outages. This is a story that will tickle your funny bone and delight your heart. About: Jack and the Hurricane follows young, willful Jack on his adventure to save his cousin's birthday party, no matter what Mother Nature has in store.